Lately I need my alarm to get up each morning. However, since it’s Saturday, I am wide awake before the sun rises. To be honest, I love this time of day to enjoy some quiet before everyone gets up and our day begins. It’s the perfect time of day to enjoy a cup of coffee and an episode or two of the Gilmore Girls. It’s also a good time for a quick project. This morning’s project is adding a little Valentine’s Day to my chalkboard. 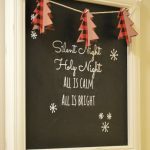 Chalkboards are pretty popular right now. I found mine at a tag sale. With some cleaning and a little paint, it was ready for our kitchen. 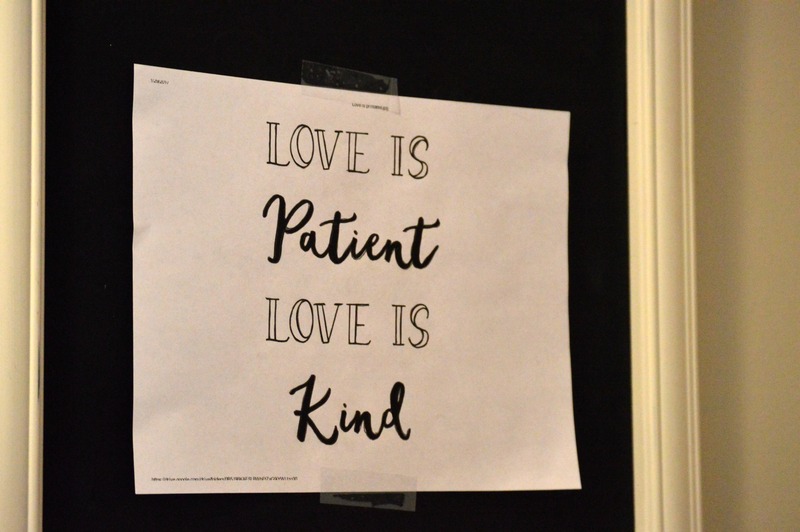 I love how I can change up the message for each season, holiday, or occasion. 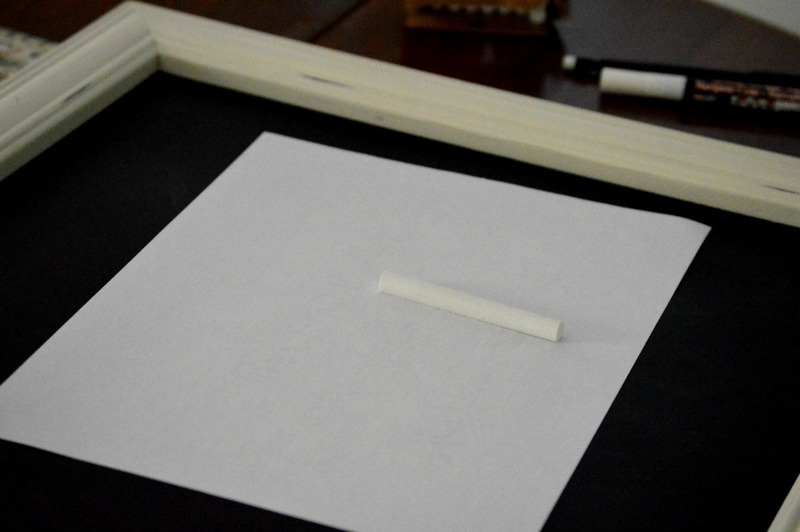 After printing out this printable, just rub a piece of chalk on the back. 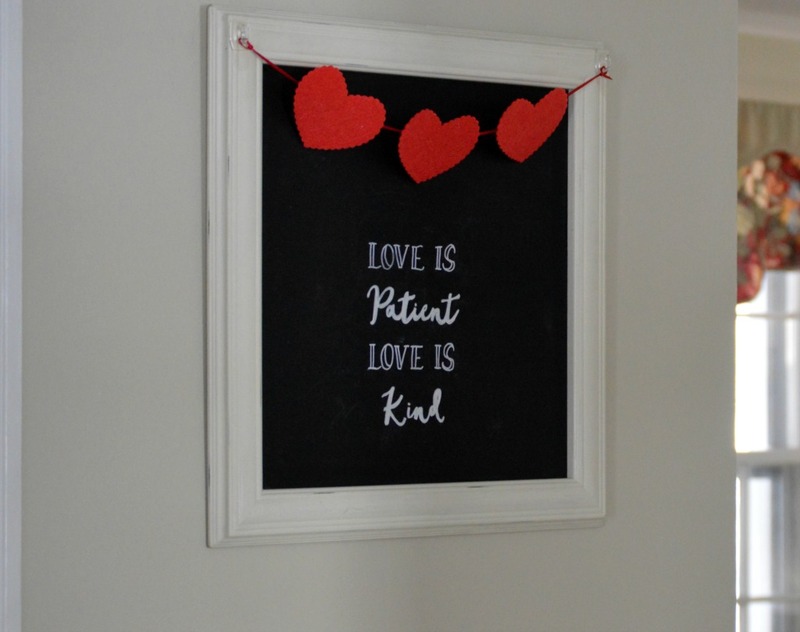 I found these cute felt hearts at the Target Dollar Spot. Glued to a piece of ribbon, they make a fun, festive banner. 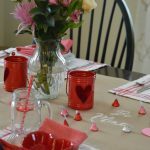 I hope you give this easy project a try and enjoy adding a little touch of Valentine’s Day to your home. 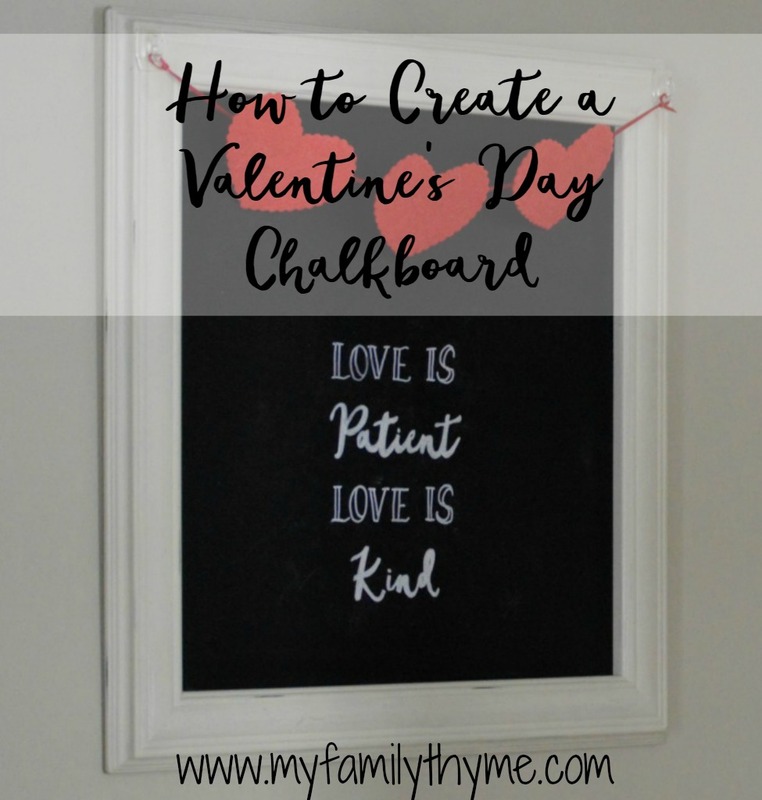 Please click here for your Free Valentine’s Day Chalkboard Printable. What a cute idea! 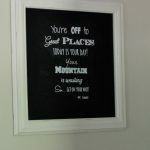 I have been looking around for a nice chalkboard for the kitchen. Thank you! I hope you enjoy it! 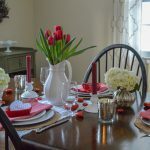 Best wishes for a wonderful Valentine’s Day! This is so neat Lynne. I spent an hour writing Thankful for the fall tour free hand….. LOL This would have save me a bunch of time. 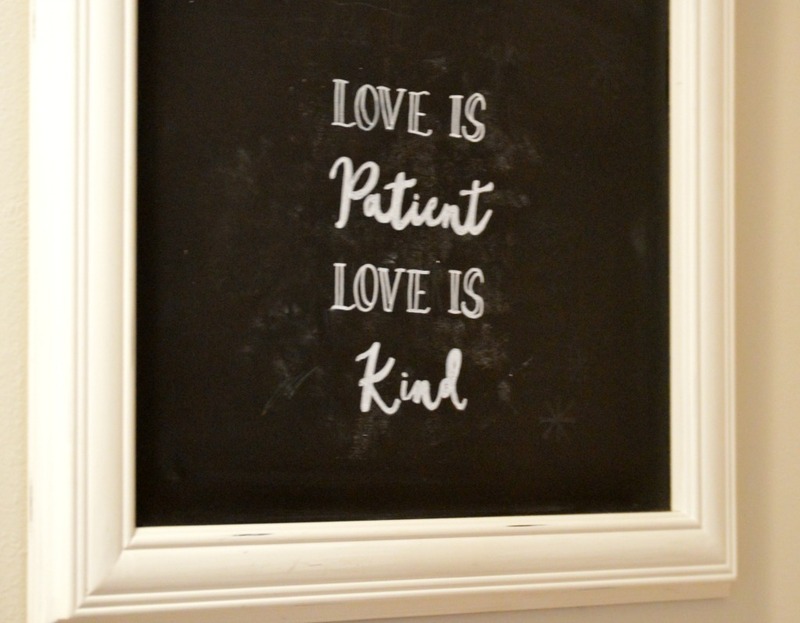 Hi Lynne: Love this chalkboard. 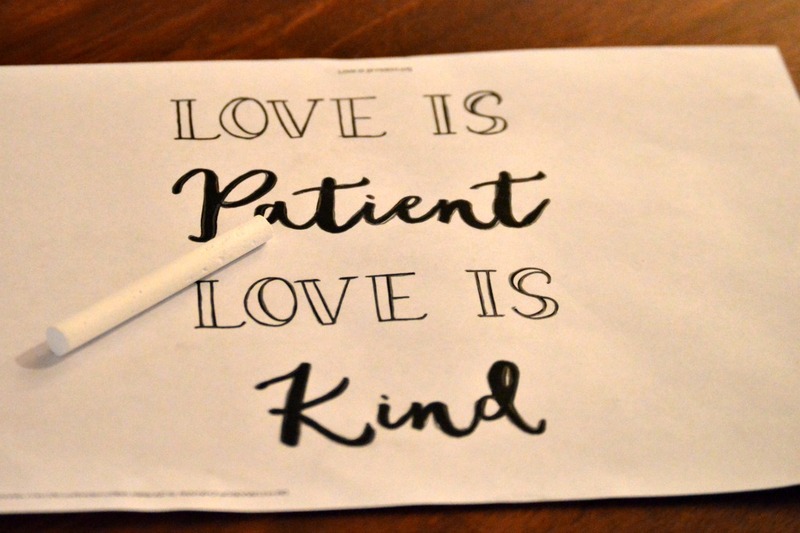 I have never tried to do lettering this way. I always put the chalk on the back of the lettering by reversing the letters, putting it up to a window and then chalking. I will try it this way.